are you ready for some cheese ball? Summer is almost here and we’ll all be busy grilling. We desperately need a cool side dish that delivers do-ahead service, stands up on buffet tables, avoids spoilage risk (hit the road mayo), and doesn’t threaten those swimsuit physiques (you too pasta salad). 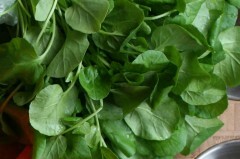 We offer a simple, transformative vegetable recipe that hints at spring while using winter’s bounty. 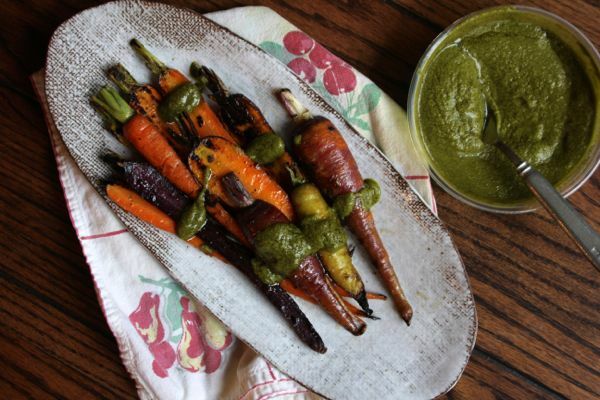 The kids and rabbits will adore carrots that when charred exude a salty sweetness. For pesky adults who might not settle for just cooking carrots, we add an herbaceous splash.